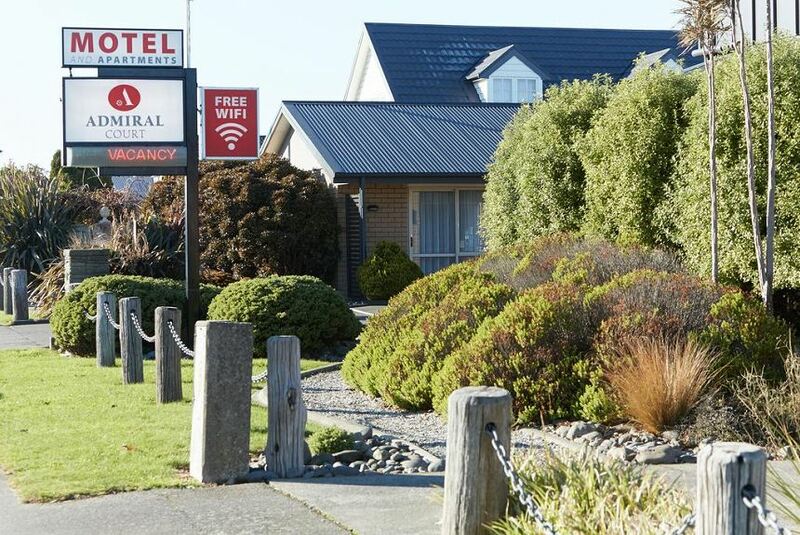 Admiral Court Motel & Apartments, Invercargill is a modern, warm, spacious, ground floor 17 unit accommodation complex with 5 comfortable Units completed in 2011. Our Tay Street location means we are central (within minutes) to all amenities, including: Stadium Southland, Cycling Velodrome, Hockey Turf, Rugby Park, Splash Palace, Golf Course, Southland Hospital, City Centre, I Site, Queens Park, Bill Richardson Transport World and the Southern Institute of Technology (SIT). Our mix of Studios, 1, 2, 3 & 4 bedroom units, serviced daily ensure that we will have a room to suit your requirements. Each is equipped with all the facilities needed to ensure a relaxing stay, including kitchens, microwaves, fridges, electric heating, electric blankets, ensuites with shower, Sky TV (32″LCD’s and 42″ Plasma’s with 12 channels) and FREE unlimited wireless internet on unlimited devices. Check out our two night Deluxe Delight deal.